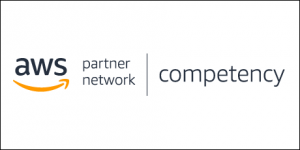 The AWS Competency Program highlights top AWS Partner Network (APN) Partners that have demonstrated technical proficiency and proven customer success in specialized solution areas. To receive the AWS Competency designation, APN Partners must undergo rigorous technical validation related to industry-specific technology, as well as an assessment of the security, performance, and reliability of their Amazon Web Services (AWS) solutions. This validation gives customers complete confidence in choosing APN Partners to team up with. To help APN Technology Partners better understand this process and our validation requirements, we are releasing new versions of the AWS Competency Validation Checklists. The checklists highlighted in this post are specific to APN Technology Partners. If you’re an APN Consulting Partner, please see this blog post for your validation checklists. What’s in the Checklists for APN Technology Partners? These checklists outline for APN Technology Partners the customer case study and technical criteria needed to achieve the AWS Competency designation. We have revised the requirements for some of our checklists around the pillars of the AWS Well-Architected Framework. For other solutions, we are identifying key characteristics of standout AWS solutions and building validation requirements around those elements. Restructured Technical Requirement Categories: Requirements are now categorized under the 5 Pillars of Well-Architected. This provides transparency of our required AWS technical best practices. Partner Self-Assessment: In alignment with the AWS Managed Service Provider (MSP) Partner Program, we will request a Partner self-assessment to be completed before your application is fully accepted. This helps us verify that APN Partners have read and will meet the Competency requirements. Clearer Prerequisites: Validation Checklists include more detailed information about Competency program prerequisites, such as what qualifies for an Microsoft Workloads project on AWS. The AWS Competency program will honor a 60-day grace period from the time each new Validation Checklist is published. During this period, APN Partners can be validated against the previous checklist version, if applicable. After the 60-day grace period, APN Partners will be validated against the most recent checklist version found on the AWS Competency program page. AWS Security Competency Partners have demonstrated success in building products and solutions on AWS to support customers in multiple areas, including infrastructure security, policy management, identity management, security monitoring, vulnerability management, and data protection.